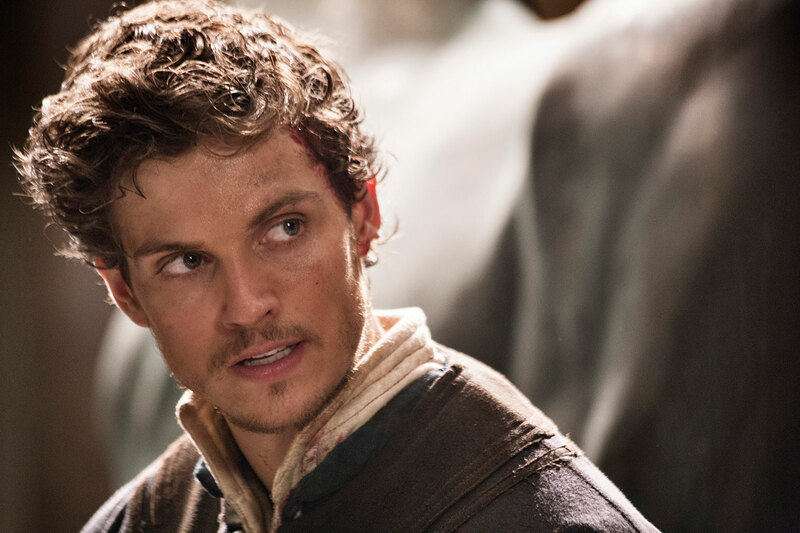 Now titled MEDICI: MASTERS OF FLORENCE: THE MAGNIFI- CENT, the new season will be set in 15th century Florence, following the drama of the infamous Medici family, whose political and economyoung son forced to take over the family business following an attempt on the life of his father, Piero de Medici (who was the son of Richard Madden‘s Cosimo in the first season). Lorenzo wants to abandon the cynical politics of the past and usher in a new era of political freedom and creative expressionic scheming helped shape European and world history. It will revolve this time on Lorenzo de’ Medici (Daniel Sharman), a but his attempt puts him on a collision course with the head of Florence’s other powerful banking family, Jacopo Pazzi (Sean Bean)! Bradley James is Lorenzo’s brother, Giuliano with Sarah Parish, Alessandra Mastronardi, Raoul Bova and Julian Sands also in the cast. Gunpowder is set in the year 1605 and chronicles the attempt made by Fawkes and a group of provincial English Catholics to blow up the House of Lords and kill King James I, all in an effort to help restore a Catholic to the crown. Among them was Robert Catesby, who was said to be the mastermind behind the operation. The plot was ultimately thwarted by authorities after explosives were spotted near Westminster Palace. A Quiet Passion is released on 7 April in the UK. Cynthia Nixon plays the great 19th century American poet Emily Dickinson in the new film from British director Terence Davies, of Sunset Song and House of Mirth renown. Dickinson, who lived almost all her life in Amherst, Massachusetts, only published a handful of poems herself; she only became known as a major writer after her death in 1886, when her sister found hundreds of her poems. Another (OSCAR) Academy Award Winner favorite of mine is Chariots of Fire. Being 35 years old, I still find myself watching it every year. It brings a lot of heart and courage to the screen. A definite buy or rental. Based on a true story, Chariots of Fire is the internationally acclaimed Oscar-winning drama of two very different men who compete as runners in the 1924 Paris Olympics. Eric Liddell (Ian Charleson), a serious Christian Scotsman, believes that he has to succeed as a testament to his undying religious faith. Harold Abrahams (Ben Cross), is a Jewish Englishman who wants desperately to be accepted and prove to the world that Jews are not inferior. The film crosscuts between each man’s life as he trains for the competition, fueled by these very different desires. As compelling as the racing scenes are, it’s really the depth of the two main characters that touches the viewer, as they forcefully drive home the theme that victory attained through devotion, commitment, integrity, and sacrifice is the most admirable feat that one can achieve. (Ian Holm was nominated for an Oscar as Best Supporting Actor in his role as Abrahams’ coach), and this powerful film ended up with four Academy Awards: Best Picture, Best Original Screenplay, Best Costume Design, and Best Original Score. Film has a Stamp dedicated to it. Films set in the Renaissance period – the magic of the bygone era is enhanced thanks to famous historical figures like William Shakespeare, Sir Isaac Newton, Walter Raleigh and Queen Elizabeth. Films set in the Renaissance period often celebrate the era by showcasing sumptuous costumes, beautiful settings and romantic storylines. These are the best of the best but in no specific order. This is a difficult film era to pick the best as there are so many favored. 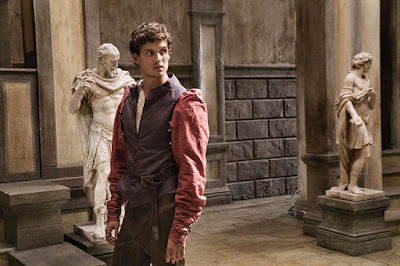 Medici: Masters of Florence is a television drama series about the Medici dynasty, set in 15th century Florence, starring Dustin Hoffman as Giovanni di Bicci de’ Medici, Richard Madden as Cosimo de’ Medici, and Stuart Martin as Lorenzo de’ Medici (The Elder). The series was co-created by Frank Spotnitz (The X-Files and Man in the High Castle) and Nicholas Meyer (Star Trek II: The Wrath of Khan). Sergio Mimica-Gezzan (The Pillars of the Earth) is set to direct all eight episodes. Episodes 1 and 2 aired on Rai 1 (Italian TV) on 18 October 2016. According to Italian ratings compiler Auditel, it attracted a record 7.6 million viewers. The first season consists of 8 episodes. Historical drama about the infamous Renaissance-era Italian family, one of whom became head of the Catholic Church as Pope Alexander VI. His son Cesare was the subject of Machiavelli’s classic The Prince. Power, politics, love, religion, and blasphemy – the tale of this historical family would sound impossible if it weren’t true. The Tudors were one of the most controversial royal lines ever to sit on the throne of England, and their story is told through this opulent and suspenseful series produced by Showtime. The show stars Jonathan Rhys Myers as King Henry VIII, a charismatic and notoriously amorous figure with a lust for life, and for the beautiful women at court. His dutiful wife Katherine has served him lovingly for more than a decade, but the wife of a king in 1520 must do more than serve – she must produce an heir. As the young monarch contends with each advisor playing their own interest in the threat of war with France, fear over the security of the Tudor line grows steadily in his mind, so much so that when he becomes involved with the bewitching and ambitious Anne Boelyn, he sets off a chain of events that will change history – igniting an onslaught of tumult and intrigue that would rage on for years, serving as the catalyst for political divide, religious war, and romantic betrayal. The series is set against the backdrop of the Wars of the Roses and presents the story of the women involved in the protracted conflict for the throne of England. It starts in 1464; the nation has been at war for nine years fighting over who is the rightful King of England, as two sides of the same family, the House of York and the House of Lancaster, are in violent conflict over the throne. The story focuses on three women in their quest for power, as they manipulate events behind the scenes of history: Elizabeth Woodville, Margaret Beaufort, and Anne Neville. Elizabeth Woodville is the central character in the novel The White Queen, while Margaret Beaufort and Anne Neville are the focus of the novels The Red Queen and The Kingmaker’s Daughter, respectively. 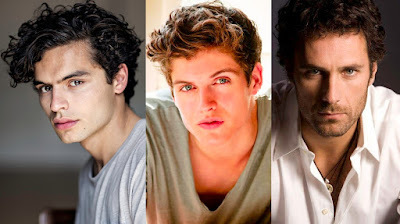 However, all three characters appear in all three novels that went to make up the television series. Actress Cate Blanchett returns to her Oscar-nominated role and director Shekhar Kapur steps back into the director’s chair for this belated sequel to the critically acclaimed 1998 biopic Elizabeth that explores the 16th century romance between the “Virgin Queen” and noted adventurer Sir Walter Raleigh (Clive Owen). Michael Hirst teams with William Nicholson to pen the screenplay, and actor Geoffrey Rush returns to the role of Sir Francis Walsingham. Long ago, in a distant land where summers span decades, and winters reach into infinity, the cold winds begin to blow through the kingdom of Winterfell. In the cold seasons of past, the Starks of Winterfell relied on their fierce resiliency to survive the harsh conditions. But this winter, supernatural forces are preparing to launch a devastating attack. A great battle is brewing, and whoever emerges the victor will ascend the throne. A 2004 BBC miniseries loosely based upon the lives of Mary, Queen of Scots, and her son James VI of Scotland. The writer Jimmy McGovern tells the story behind the Gunpowder Plot in two parts, each centred on one of the monarchs. Directed by Gillies MacKinnon and filmed in Romania with a key Scottish crew, the first film dramatizes the relationship between Mary, Queen of Scots, played by French actress Clémence Poésy, and her third husband, James Hepburn, 4th Earl of Bothwell played by Kevin McKidd. Scottish actor Robert Carlyle stars as James VI in the second part of the series, which concentrates on the Gunpowder Plot, planned by Guy Fawkes, to blow up the Houses of Parliament in order to rid the nation of a Protestant monarch to be replaced by a Catholic one. McGovern had previously covered the Plot in the one-hour play Traitors for BBC2’s Screenplay strand, transmitted on 5 November 1990. Synopsis by Merle Bertrand – William Shakespeare (Joseph Fiennes) is on a cold streak. Not only is he writing for Philip Henslowe (Geoffrey Rush), owner of “The Rose,” a theatre whose doors are about to be closed by sadistic creditors, but he’s got a nasty case of writer’s block. Shakespeare hasn’t written a hit in years. In fact, he hasn’t written much of anything recently. Thus, the Bard finds himself in quite a bind when Henslowe, desperate to stave off another round of hot-coals-to-feet application, stakes The Rose’s solvency on Shakespeare’s new comedy, “Romeo and Ethel, the Pirate’s Daughter.” The problem is, “Romeo” is safely “locked away” in Shakespeare’s head, which is to say that not a word of it is written. Meanwhile, the lovely Lady Viola (Gwyneth Paltrow) is an ardent theatre-goer — scandalous for a woman of her breeding — who especially admires Shakespeare’s plays and, not incidentally, Bill himself. Alas, she’s about to be sold as property into a loveless marriage by her mercenary father and shipped off to a Virginia tobacco plantation. But not before dressing up as a young man and winning the part of Romeo in the embryonic play. Shakespeare soon discovers the deception and goes along with it, using the blossoming love affair to ignite his muse. As William and Viola’s romance grows in intensity and spirals towards its inevitable culmination, so, too, does the farcical comedy about Romeo and pirates transform into the timeless tragedy that is Romeo and Juliet. Synopsis by Mark Deming – The life of one of the controversial figures in the history of modern religion is brought to the screen in this historical biography. Born in 1483, Martin Luther (Joseph Fiennes) was an intelligent and principled young man who was studying law in early 16th century Germany when a close brush with death led him to follow a spiritual path and join a Catholic monastery. Under the guidance of Johann von Staupitz (Bruno Ganz), Luther became a valued member of the monastery’s hierarchy, and as a sign of his trust, von Staupitz asked Luther to join him for a voyage to Rome as part of church business. Luther was appalled by the corrupt practices of the leading church officials, in particular the sale of “indulgences,” in which the wealthy could purchase forgiveness for a wide variety of sins. Luther left the monastery to study theology in Wittenberg; a keen student, he later became a professor and won the support of Frederick the Wise (Peter Ustinov), who also recognized the potential controversy of Luther’s iron principles. When a new pope, Leo X, assumes the throne at the Vatican, he orders the construction of St. Peter’s Basilica. To pay the costs, an ambitious monk, Johann Tetzel (Alfred Molina), was sent out to sell indulgences to both the wealthy and the poor, leaving his audiences with little doubt of the eternal consequences that awaited those who did not empty their purses. An infuriated Luther wrote an angry essay on the corruption of the church entitled “95 Theses,” and thanks to the recent invention of the printing press, Luther’s words were soon circulated throughout Europe, leading to an angry conflict with Catholic officials which threatened to tear the church in two. Luther also features supporting performances from Claire Cox as Katharina von Bora and Jonathan Firth as Girolamo Aleandro. Folder Gallery Error: Unable to find the directory Era/Renaissance 1400-1600. What better place to set a TV drama than a London hotel? All those guests coming and going while the staff manage crisis after crisis… the potential is huge. Add in the Second World War and you get ITV’s new series, The Halcyon. With a little bit of Downton Abbey and a little bit of Mr Selfridge in the mix, ITV are hoping for a period drama ratings hit. The show focuses on the workings of classy hotel The Halcyon in the run-up to the Blitz, with plenty of political intrigue, betrayal, infidelity – as well as storylines featuring inter-racial relationships and homosexual love. Who stars in The Halcyon?Having revealed her powerful singing voice for The Sound of Music, Kara Tointon plays the hotel bar’s singer Betsey Day. Steven Mackintosh is hotel manager Mr Garland, while his boss Lord Hamilton is played by Alex Jennings (you might recognise him as Victoria’s King Leopold, or The Crown’s Duke of Windsor – Jennings is fast becoming one of the most familiar faces in the world of period drama). The glorious Olivia Williams is his wife Lady Hamilton, while their sons Freddie and Toby are played by Jamie Blackley and Edward Bluemel. Hermione Corfield has a breakout role as Emma Garland (working in the family business) while Matt Ryan – best known for starring in Constantine – puts on an American accent to play journalist Joe O’Hara. It is the Dark Ages, and the Church is fighting against ‘black magic’. The medical knowledge of Greek physicians like Hippocrates and Galen had been lost to the medicine of medieval Europe (until taught later in schools such as the School of Salerno after the Arabic-Latin translation movement of the 12th century). In 11th-century England, travelling barber surgeons attempted to supply medical care to the ordinary population, often at the risk of the Church persecuting them for witchcraft. Robert Cole has an extraordinary gift, where he can sense when someone left untreated has a terminal illness. He notices this for the first time when he feels it as a little boy when his sick mother is dying of appendicitis, a disease he was unaware of. The young orphan joins an itinerant barber-surgeon who calls himself Barber. Barber teaches him the basics of medieval medicine, with services such as cupping therapy, bloodletting, and dental extraction. Even as an apprentice Rob recognizes the limitations of these simple practices. When Barber suffers from a cataract, Rob consults a real Medicus for him. This Jewish doctor heals Barber completely. He learns a little bit of Jewish culture. He speaks with two children, Jesse and Benjamin. There, Rob sees for the first time a world map, and learns of the famous Ibn Sina, who teaches medicine in distant Persia. So he decides to train there to become a physician. During the Islamic Golden Age, the medicine in the medieval Islamic world (evolved from a symbiosis of Gondishapur Iranian medicine and Nestorian Byzantine medicine in Baghdad’s House of Wisdom) is far more advanced than in Europe. The doctor, scientist and philosopher Ibn Sina teaches in Isfahan, the most important school for aspiring practitioners in the world at that time.